Calendars are more often than not very colorful with attractive pictures in them. We mostly choose the calendars based on how attractive these pictures are because for the functional part – seeing the date – each one is same. Another functionality comes with the size – table top, wall mounted or pocket calendar. But have you ever thought about how a low vision or a blind person would be viewing dates daily? How can we give them a dates and picture experience with calendars? A regular braille calendar would just be boring with only dates and no pictures. 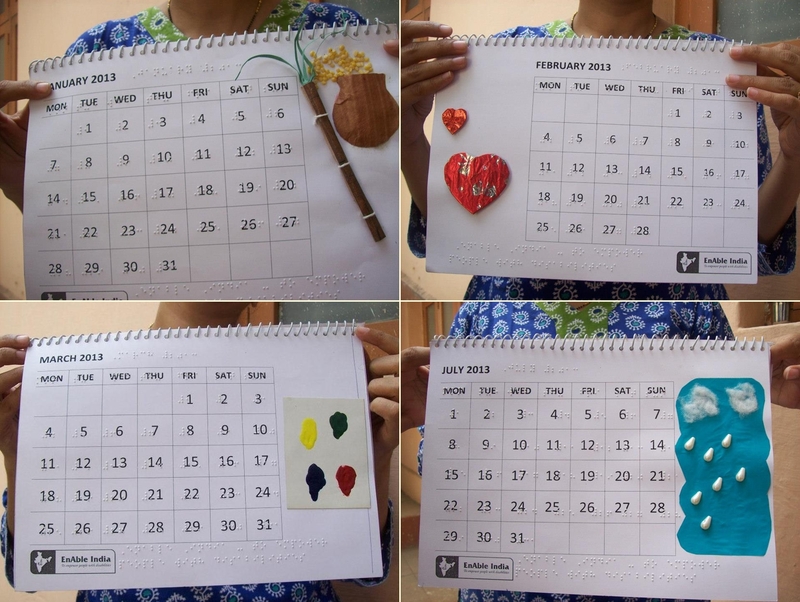 In order to give the same experience to people with visual impairment, we decided to make calendars with tactile paintings. The calendar is in Braille (for totally blind) and large print (for low vision) and a tactile version of an image is next to it thus ensuring both the picture and the date functionality. 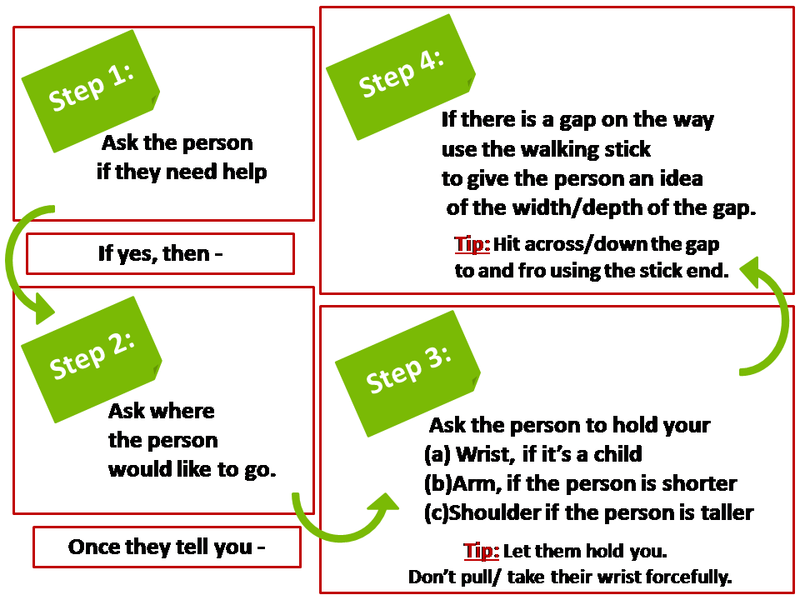 These are also useful for people with learning disability. and how to make a completely blind friendly calendars. The tactile painting with every month depicted the month’s festivals. For example harvest season for January; Valentines’ Day for February; Holi – the festival of colors for March; rains for July; Independence Day for August; Diwali – the festival of lights for November; Santa for December and so on :). 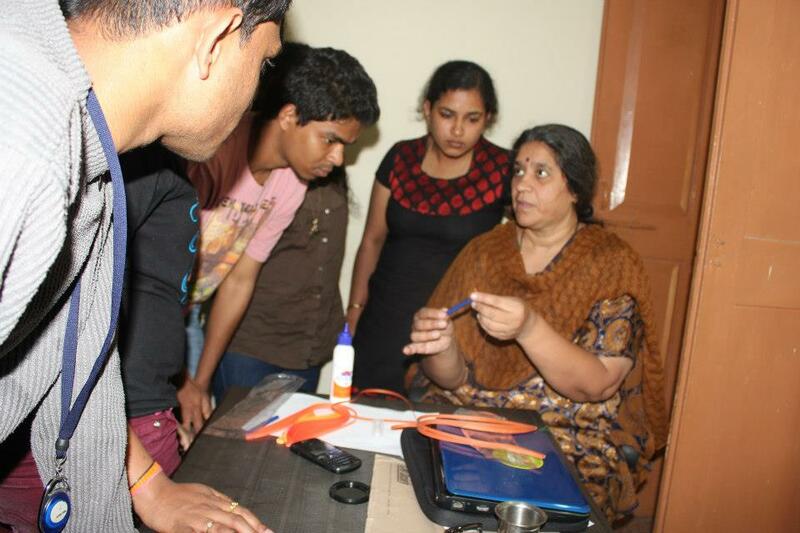 Thanks to Kiran Rao for her support whole day and super super thanks to all Volunteers (around 25) for making it happen. We successfully completed 5 very good quality calendars 🙂 to be gifted to our blind friends! 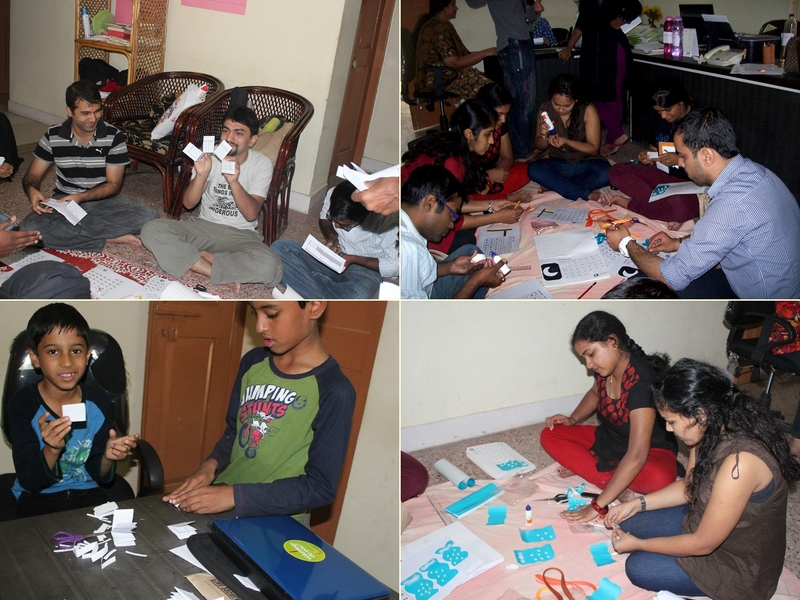 But the day just didn’t end with 5 calendars; it ended with 25 people adding another language and art to their skill set and being more sensitized towards blind and low-vision people. To get the initiative going, I have created a survey at http://www.surveymonkey.com/s/QWYDBKH. Your responses will help me create better gifts for the disabled and move the idea forward. 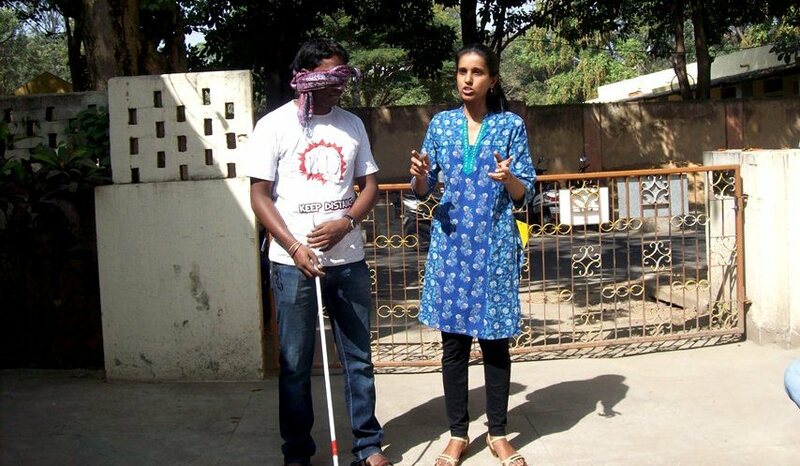 One Response to "Gift-abled: A new year gift for the blind"